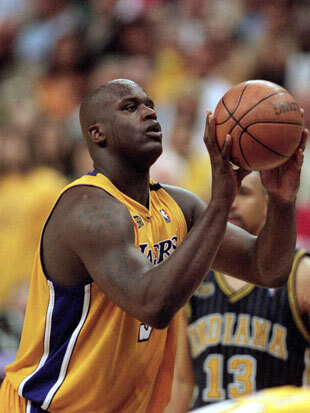 Back when Shaquille O'Neal was the most dominant force in the NBA, several teams utilized the "Hack-a-Shaq" strategy that essentially turned every Los Angeles Lakers possession into an opportunity to see a gigantic man attempt to shoot a ball through a small hoop even though he was really, really bad at it. It was slow, lacked flow, and generally had very little to do with the reasons fans like watching NBA basketball. So David Stern and the NBA's competition committee created a new rule: fouling off the ball in the last two minutes of the game would give the fouled team two shots and the ball. The tactic disappeared for a while, in part because Shaq became less effective and also because no truly dominant players proved to be sub-50 percent free-throw shooters. 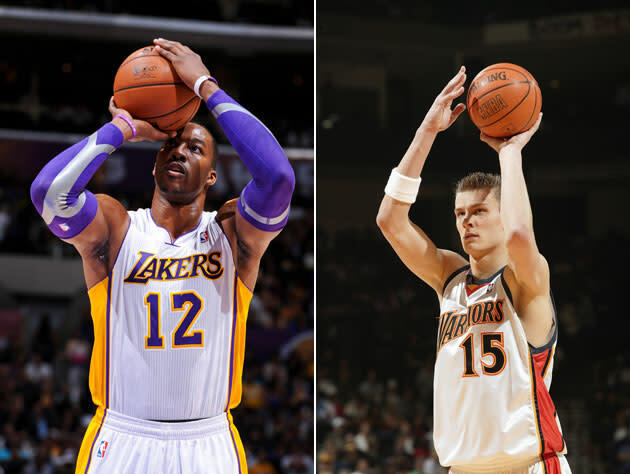 However, this season has seen a massive uptick in "Hack-a-Shaq" incidents, primarily because Los Angeles Lakers center Dwight Howard is shooting below 50 percent from the line for the second consecutive season. But other players have become targets, as well, including Detroit Pistons rookie Andre Drummond (Slay-a-Dre) and Clippers big man DeAndre Jordan (Hack-a-DJ, which is not an off-brand remake of "PaRappa the Rapper"). Stern was quick to point out that the league has instituted a rule that successfully stopped the tactic in the last two minutes of games: Foul a player away from the ball, and after the the free throw, the fouled team gets the ball back. The penalty is so steep that the tactical advantage of fouling is gone. Stern said he wanted to make that rule last all game. "I would have liked to have seen the rule changed to make the last-two-minute rule the whole rule," he said. "It was getting to a point last year where, [in the] first period, they were just grabbing players. I think that's ludicrous. "We tried to change it to any time in the game because last year I guess it was everyone was fouling Tiago Splitter early on and the committee didn't want to do it. And so that's just the way it is. Because the reality is that there are a lot of basketball purists -- and I understand that point of view -- who say, 'Hey, why don't you learn to shoot foul shots? You're supposed to be a pro.'" It's an issue that won't go away anytime soon, and it puts the purists in an awkward position defending a set-up that prevents actual basketball play. There's an obvious and common response to these protestations, which is that no coach would identify hacking targets if players simply made their free throws. But there is very little evidence that NBA players can easily improve their percentages from the line. And while many fans like to chalk that inability up to laziness, it's not as if these athletes don't see massive improvement in other areas of their games over the course of their careers. Some players get substantively worse over time, including Howard, but it's possible that those dips depend on injury, such as his still-not-totally-cool back issues. At any rate, it seems quite backward to claim that players should only be absolved of a punishment only after they prove they can handle the burden. Plus, it's not as if watching players make free throws on every possession is inherently better than watching them miss them. The primary issue here is one of the flow of the game, not of the difference between success and failure. Stern wants to change rules because he wants a better product. With that in mind, it's possible that his solution is not ideal. Abbott provides a potential improvement: That teams should be allowed to choose whether they want the foul shots or another possession. That wouldn't just make fouling a bad decision — it also wouldn't always interrupt the flow of the game. Whatever the solution is, it's important to remember that the rules of basketball continually change over time. Very few things are fixed apart from the height of the basket, the length of the court, and a few rules of how players may advance the ball. The rest shift as the powers that be attempt to pinpoint exactly why fans want to watch.